Does the image above overwhelm you? Well, the choice of software for the Information manager can indeed be overwhelming. The collage contains a selection of software apps that are IMO worth the investigation. 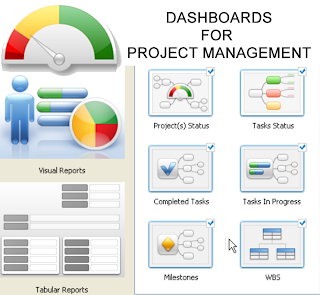 They are important enough to be termed the leading pack of the mind, visual and knowledge management software arena. Simply Google the names in the collage and you’ll get more info. If you’re a consultant who uses and infuses graphical tools to enhance your client’s business environments: you’ll then certainly understand the positioning of the products expressed within the collage. I use most of the products mentioned in the collage, so this may give you an understanding of the need of the consultant to be informed of the leading software applications for their Mind, Visual and Knowledge mapping clients. I believe we have to categorize the products to inform of their capabilities. The following is certainly not prescriptive, and is merely my professional opinion based on my knowledge of the products within the collage. 1. Mind mapping: traditional Buzan type mappers who express maps using the laws of Buzan mapping. The genesis of personal productivity is realized within this category. This is the natural introduction for many users, and I certainly recognize; we wouldn’t be where we are today, if it were not for Tony Buzan formalizing Mind mapping. 2. 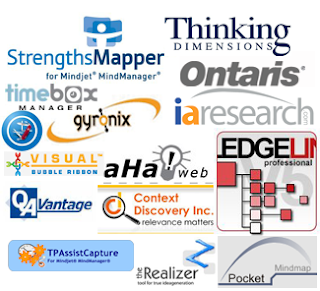 Visual mapping: Information managers who have moved beyond Buzan Mind mapping. They understand Visual mapping includes, but is not limited to; Mind, Concept, Flow and argument mapping and other graphical tools. This is where Data management is effectively expressed. 3. 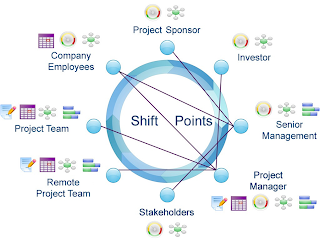 Knowledge mapping: The evolution of the Visual mapper is expressed within the tools and techniques used, enveloped within a mindset that infuses process and systems thinking. The Knowledge mapper understands the Data, Information, knowledge processes that are integral within system. Database capabilities are the focus of the knowledge mapper. Some products and users belong to one or all of the three categories above. Careful consideration should be taken when choosing the software that may best suit your environment of use and expected outcomes. As a consultant to Academia and corporate business, I am often called upon to give my professional opinion regarding the best software products available to date. The collage contains what I firmly believe to be the most relevant software products available to date that shall impact your personal, academic and business arenas. Most of the applications are desktop PC and Mac oriented, while a growing number of recent newcomers are now offering corresponding editions that capitalize on the exponential growth of web 2.0 (Cloud computing). This arena is worth the investigation if you are indifferent to information security issues. Desktop computing however shall be IMO, the most secure and preferred medium for the Visual/knowledge mapping arena. Some are clones of the leader (Mindjet), while a couple of applications should be scaring the leader. MindGenius has always been my preferred software for information management, yet Matchware MindView is IMO, a leader in the making. Not to forget the excellent ConceptDraw Mind map, the extremely flexible Mindmapper and of course the very powerful Visual Mind. 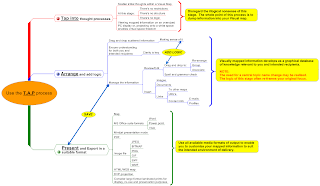 NovaMind and also Buzan's iMindMap are excellent Mind mapping products too. All of the products you view in the collage are excellent software products that can be adopted into your personal, academic and professional business environments with relative ease. One product to keep an eye on is DropMind; they have successfully released their desktop and web edition in sync, in fact both editions effectively synchronize with each other. DropMind while harvesting the look and feel of Mindjet Mind manager, have pulled off an extremely affordable software product for the masses. Another new and extremely interesting arena has been developed and introduced recently, and it’s called “Method Neutral”. The developer is MindSystems and their software product is called “Amode”, a very powerful knowledge management product offering a most stable information database, process and project management environment. If at all the knowledge mapper wishes to apply heavy duty database functions to their environment, The Personal Brain and TopicScape lead the user into multi dimensional knowledge mapping. Last but not least, I can't miss out Xmind, users have an amazingly user friendly product that packs a big information management punch. The forward thinking Information Manager of this century realizes the importance of graphical communication formats, that enable a whole brained and flexible approach to business management. It’s not very often I jump at the chance to interview a fellow visual mapping colleague. But, when Phil Novack: the manager of global communications at Mindjet agreed to answer a few questions posed to him regarding Mindjet; well here’s the result. 1. Tell us about your position and work within the Mindjet organization? I’m the manager of global communications for Mindjet. We sell our products around the globe and have offices on three different continents. My job is to maximize Mindjet’s awareness in all of these different locales, focusing on spreading the message of Mindjet’s leading position as a provider of personal productivity and collaboration solutions that visually connect ideas, information and people to save time, improve business processes and drive innovation. 2. Overview the history of Mindjet to date? 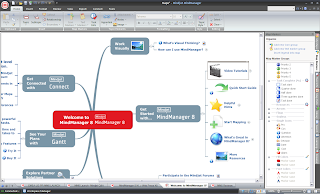 Mindjet started in the mid 1990s as a programming project by Mike Jetter centered on the technique of mind mapping. Shortly thereafter he formed a company to sell his new software. With more than 10 years of development, Mindjet is the worldwide leader in providing visual information mapping and collaboration solutions to users around the world. 3. 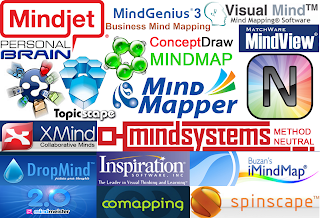 Why do you believe Mindjet is and remains to be the leader within the Mind mapping arena? Mindjet is used by more than 1.5 million professionals around the world in six out of every 10 of the companies listed in the Fortune 100. By dramatically boosting productivity and team effectiveness, Mindjet has a proven track record of delivering solid business value for our users. Surveys across several industries show that Mindjet can increase productivity by up to 25 percent by making meetings, common communications and project management tasks more efficient and effective. When potential customers evaluate all of their options, they’re consistently drawn to what works; oftentimes the best sales reference is word-of-mouth. Well, almost 70 percent of our current sales come this way: a friend or a colleague telling another friend or colleague. Those are excellent references for us, and they have helped us maintain our leadership position. 4. Would you agree the term “Visual mapping” encompasses moving beyond mere Mind mapping? Mind mapping is a technique, primarily a brainstorming technique. Obviously, MindManager is a great brainstorming tool, but it’s much more than that as well: people use it to drive presentations, manage complex projects, streamline complicated business processes and reduce time-to-market. As you know, many people also use it to keep their day-to-day lives in order. Lots of individuals have suggested several different names for what MindManager can do for you or your business, so something other than “mind mapping” would be accurate in that it goes beyond just the act of brainstorming. As it stands though, “mind mapping” seems to be the term with which most people are currently familiar. 5. 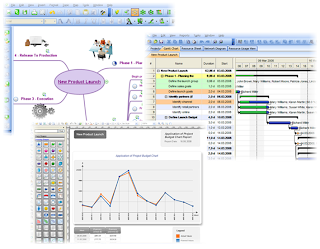 Has the term “Mind mapping” been an impediment to the further infusion of Mind Manager as a Visual mapping product? Sometimes people hear the term “mind mapping” and it conjures up ideas completely unrelated to what MindManager actually does. But one of our primary jobs is to educate potential users about the benefits of Mindjet, and that’s where we focus our resources. Once people see the power of what Mindjet offers and how we offer significant business value by cutting down time-to-market, reducing the length of the sales cycle, or smoothly managing a difficult project, they don’t care what it’s called. They just know that we made a significant difference in their ability to achieve success! 6. The business and academic environments has been the focus of Mindjet for some time; what about a more personal approach to productivity and self development? One of the great things about MindManager is its flexibility. That means that you can use it to manage an enormously complex project; like for example all of the logistics surrounding production of a new airplane being built by a major aircraft manufacturer. Or you can sit in your office, at home or at work, and map out your personal goals, and keep your day-to-day life on track. At www.mindjet.com, you can find many use cases from individuals who use Mindjet in business and academic settings and also personal productivity use cases. I would also encourage readers to check out our blog at http://blog.mindjet.com where our chief evangelist Michael Deutch often posts about ways to improve your personal productivity and accelerate your development. 7. Do you have any favorite add-ins you use for personal productivity and self development? I think all of our add-ins provide potentially excellent added value for our users depending on their needs. All users need to do is to check out the Mindjet Partner Solutions site at http://mindjetsolutions.com/Default.aspx to see the many offerings that are available and find out which may be best suited for them. 8. Why so many third party add-ins for Mind Manager? I think one of the strengths of any particular software platform is the vibrancy of its developer community. The thousands of new apps each month in the Apple App Store, for example, are a testament to the iPhone’s popularity. While we’re not on the same scale as Apple (at least not yet! ), we’re proud of the strong developer community that has formed around MindManager and we’re constantly encouraging innovative developers to produce add-ins that will augment the already significant value of our products. 9. Have users asked for specific add-ins to be integrated to Mind Manager? Whether it’s for features or add-ins, we constantly get requests from our users. If you have an idea for an add-in or a way to improve any Mindjet products we encourage you to send your ideas to products@mindjet.com. 10. Database qualities are being offered in competing benchmarks; can we expect a more robust approach to the data/information/knowledge management in future editions? 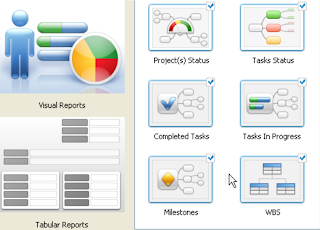 MindManager 8 in fact has a robust data linking ability that enables users to connect their MindManager maps to Microsoft Access, Microsoft Excel, Microsoft SQL server, MySQL server, and .CSV format databases. You can find this feature in the Insert menu under “Databases.” We are always working on ways to improve Mindjet products, however, and anyone with any suggestions should send them to products@mindjet.com. 11. How has Web 2.0 impacted Mindjet’s approach to SAAS? We have a technology that is especially well suited to the social and community-driven aspects of Web 2.0. 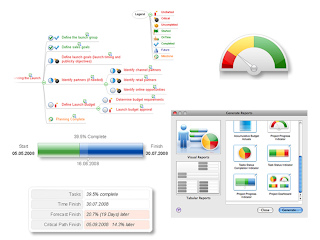 At its very core, a MindManager map is a very powerful way of sharing information. That information could be for internal use only, as is the case in many business implementations. But when you want to communicate information to the outside world, you can create a Mindjet Player file that can be shared on any website, blog or wiki. This can have a tremendous viral effect. Mindjet recognizes the power of hosted services and their ability to take advantage of user communities online. In the future, you will see a new approach to way Mindjet tackles sharing capabilities online. 12. Mindjet Connect: has it fulfilled your expectations regarding collaboration? We’re constantly impressed by what our customers are doing with Mindjet Connect. We currently have thousands of Mindjet Connect users who are logging in and collaborating with their colleagues. They’re using it actively to do everything from implementing new sales force training programs to the planning and execution of academic conferences to information dashboards for remote workers and more. Visual collaboration is a central tenet of what Mindjet is all about, and we’re continuing to invest in, develop and expand our collaboration capabilities for our users. 13. Can you (within reason) give us a glimpse of what to expect from Mindjet in future editions? Well I can’t say specifically what we’re working on, but I can say that we have an exciting pipeline right now. It’s so exciting that I’m anxious to just let all the news out now, because it’s that cool. From collaboration products to solutions to the different platforms on which our software is available, we’re working on a little bit of something for everyone. 14. What are users saying about Mindjet Mind Manager? We have tons of great quotes from our users. One of the best, I think, is from Stu Schmidt, currently vice president of sales at Unisfair and former Webex executive. Stu recently said that MindManager "is the only application that I’ve said is never optional. Wherever I go I have to have MindManager." Stu has detailed for us the business value he gets from deploying MindManager throughout his organization, including the fact that MindManager has cut the length of his company’s sales cycle by 66 percent. When you get results like that for your customers, consistently and across the board, it’s not hard to find great testimonials! 15. What are the challenges for Mindjet, as we move towards a more monetized knowledge economy? We prefer to see them as opportunities. As the knowledge economy continues to grow, knowledge itself becomes more valuable. As knowledge becomes more valuable, easy access to that knowledge will be very important. We believe we’re well positioned because Mindjet makes visual collaboration and productivity solutions that, at their core, provide people with instant access to both their own and their colleagues’ information, so they can make the best informed decisions to improve their bottom line, to make a sound organizational decision, or to simply organize their personal life so they can put themselves in positions to succeed. We believe Mindjet is an invaluable tool for the knowledge economy, and will become even more so in the future. 16. What is your elevator conversation piece regarding Mind Manager? MindManager is a personal productivity solution that visually connects ideas, information, and people to help you save time, improve business processes, and drive innovation. MindManager enables you and your team work in real-time to organize, manage, and communicate ideas and information while solving real business problems. 17. What’s the link to your sales pages at Mindjet? My visual mapping consultant colleagues come across many unique situations that require a customized approach to a clients information management needs. The experienced and capable consultant quickly creates a “big picture” view of an organizational information economy. There are, however, common elements that are continuously experienced while consulting to a client. The following is a scenario compiled from actual client situations. I was contacted by the upper management representative of an OEM organization. “You were recommended to us by one of you current clients, and we would like to meet to discuss how you can help us”. This has been the most common form of contact from prospective clients; recommendations and referrals from current and past clients serve the effective consultant well. First contact meetings give a consultant the opportunity to gauge the needs of a prospective client. This client didn’t beat about the bush, She introduced herself as ****** (for the sake of confidentiality Jane). What do you mean by the term “Information Economy” Jane asked? 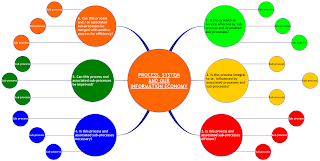 I defined this economy explaining the need to re-frame her understanding and perceptions of Information and knowledge, creating, managing and exchanging her information management system to herself and others throughout her organization. I further explained the benefits of the tools and methods of Visual mapping and how this could enable her to experience an exponential increase to her information management skills. Here’s what I did for Jane - working with her over a short period of time. I creating a Visual map that graphically expressed her organizational business processes. When this map was created, I scheduled a meeting with Jane and select colleagues. The purpose of this meeting was to perform a defragmenting process using the T.A.P process. While using this process, I always witness the WOW and AHA moments from my clients. For the first time in a while, Jane and her colleagues saw the true “big picture” of their business system and all of the processes that made up their organizational way of working. The defragmenting process is analogous with the defragmenting of a computer hard drive which, in turn, is analogous with a knowledge data bank and information economy activities. The T.A.P process enables you to tap into, arrange and present all of your relevant personal, academic and business information and knowledge. The T.A.P process enabled me to work with Jane and her colleagues to create a graphical framework (also commonly called a “dashboard”) that expressed every process within her system. I then re-framed Jane’s understanding and terminologies associated with business systems and then trained and coached the group to come to terms with the reality of the “information economy”. When Jane and her colleagues finally got the bigger picture, the impact of the potential of their business processes and system efficacy was realized. Suffice it to say, the tools and techniques of Visual mapping used to re-frame and defragment the information management overload just has to be seen to realize the power of control it truly has. “Knowledge governance” is understood and realized when Visual mapping is used to create a central knowledge data bank that houses and supports the activities of an organizational information economy. Within my consultancy, I recommend premium software products for the forward thinking information manager. I spent some time with Jane and her select colleagues, training and coaching them to use visual mapping software to take control of their growing business structure. They did indeed understand the importance of the information economy, and used their reframed view of knowledge and information to enhance and continually improve upon their business functions and monetary bottom line. I followed-up with Jane two months later, finding that many of her key colleagues and associates had adopted and adapted their unique understanding of the information economy through the use of Visual mapping. This scenario you’ve just read through is a generic experience I generally have as I consult to corporate business. I have come to realize there is a great need within business management to create, manage and continuously improve processes and systems. Clarity; a key component of Visual mapping is enabled naturally and with ease. While this is a scenario created to help you understand my approach to the information economy and Visual mapping, I encourage you to connect with me and ask questions regarding my consultancy services. Below is a client’s draft Visual map (used with permission) expressing process in relation to system with the questions asked, while introducing the genesis of an organizational information economy. We do indeed live and work in a linear world when it comes to academics and business. Taking a look at our established formats for communicating information and knowledge, there’s no denying, we clearly rely heavily on linear data, thinking and processing. Linear communications are essential; but not always the best format to convey information and knowledge in a succinct and clear manner. As a professional visual mapper I firmly believe that non-linear information and knowledge communication tools that are readily available can, and do, enable you to experience exponential increase to information management handling processes. A lack of clarity and focus is what causes constraints within information exchange and knowledge growth. In this century, professionals are compelled by established systems to merely maintain the status quo of their respective information economies. Effective communication is essential to organizational efficacy, but we rarely see this as a reality within overwhelmed business environments where communication clarity and focus is not only expected but demanded. Information has become a commodity that is exchanged both internally and externally within information economies. These economies are our established organizational systems, which in many cases have been overlooked with dire consequences to the organization. Corporate scandals of the late 90’s were characterized by the abject mismanagement of organizational information economies. 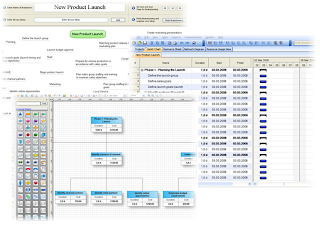 This can be avoided by adopting the tools and techniques of visual mapping into your business functions. Information is what knowledge is made up of and, we must take responsibility for the successes and failures of our information economies, after all, our information economies are what enable, assure and secure our personal, academic and business future successes. Visualize a national financial reserve being a knowledge bank and the information economy as being the supplier of the resources that secure the strength of this institution. It makes logical sense that the continuous supply of resources is essential to the strength of the reserve. This is indeed how we should be viewing our information economies. Whether you are an academic or business professional, the continuous development of your information commodities ensures your strength, existence and further survival. Taking a further view of the information economy, we see that it is absolutely impervious to any kind of recession. Global economical recessions do not affect information economies, while a downturn or recession is happening; the one thing that remains constant is information exchange. Information being a priceless commodity that supplies our knowledge banks ensures our survival through the most severe of global effects of recession. Where does Visual mapping fit into this information economy you may be asking? I firmly believe that the tools and techniques of this graphical framework, is more than capable of enabling you to experience an exponential increase in your information management skills. We are all information managers, whether we acknowledge it or not, the fact that we create, manage and exchange information to gain knowledge is testament to the human need for expansion. Within academia and business we must manage information for greater good of the systems that we support. There are various degrees of information management efficiency yet, we see time and time again that the information managers who connect with the visual mapping approach, see the bigger picture and gain absolute control of their information economy. The exponential gains experienced using the tools and techniques of visual mapping add to the financial bottom line of the environment of use. For the academic the gain is effective formats for enhancing student and faculty information exchange and management. The business system is relieved of information gaps that may affect further expansion of information resources and organizational processing. The gains to business at all levels are experienced by enabling corporate communications to be managed from a “master map database”. This master map is the realization of visual mapping as being a “graphical framework for business improvement”, thus adding to the financial bottom line of corporate profit. Information management, quality system analysis and improvement are but a few of the benefits of using visual mapping to exponentially add to the bottom line of any business function. The financial constraints associated with time management and organizational training is known to be aspects of business and academia that often cause frustration at the base level and financial loss at a higher level. I firmly believe the tools and techniques of visual mapping to benefit all aspects and functions of any business or academic institution. Visual mapping will enable you and your teams to become more effective communicators and information managers who effectively improve upon the bottom line associated with your working environment.